Regulators and programme makers are at odds over whether small children should be banned from watching television or using tablets and smartphones. 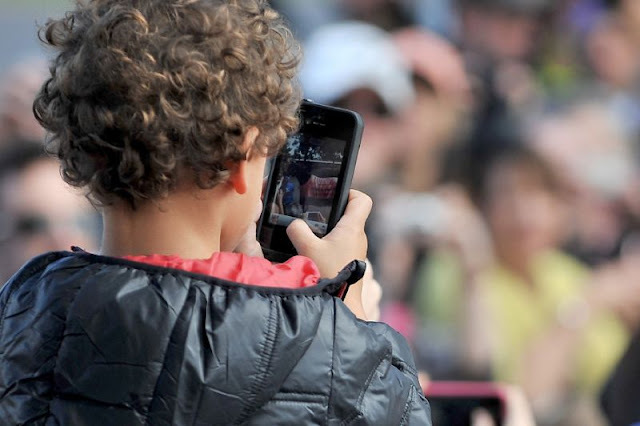 Cannes (France) - Regulators and programme makers are at odds over whether small children should be banned from watching television or using tablets and smartphones. "People are realising that screens can cause addiction even among very small children, and in extreme cases autistic problems, what is called virtual autism," she said. France banned its broadcasters from targetting under-threes in 2008, and blocked Fox-owned BabyTV from launching there. But some programme makers insist that bans do not work, especially with so many parents using television and devices to "babysit" their children. She said the BBC aimed CBeebies at children from two upwards, "but we know children younger than that are watching. So we have to be realistic about this, and bear those children in mind" knowing that the TV or a tablet may be their "babysitter". "We have games and apps that are about helping children develop the cognitive skills that a two-year-old needs. This is about learning on screen and in the real world at the same time, it is not an either or and it's all about moderation," Webb argued. And she was sceptical that the industry would regulate itself when it came to younger children. Muslim Global: Should small children be banned from watching all screens? Regulators and programme makers are at odds over whether small children should be banned from watching television or using tablets and smartphones. France urges parents not to allow children under three to watch TV, and American paediatricians also favour a total ban on screen time until at least 18 months.